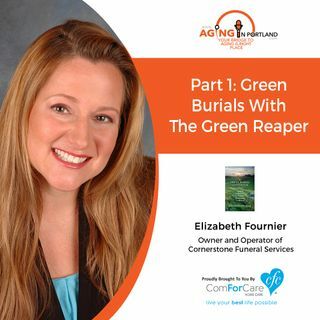 Elizabeth Fournier, affectionately called “The Green Reaper,” is the author of The Green Burial Guidebook: Everything You Need to Plan an Affordable, Environmentally Friendly Burial. She is owner and operator of Cornerstone Funeral Services, outside of Portland, Oregon. She also serves on the Advisory Board for the Green Burial Council, which sets the standard for green burial in North America.